The Fantle Memorial Park Municipal Pool is a 50 meter, Olympic sized pool that is heated and maintained at 80° F and is open during the months of June, July and part of August, weather permitting. The park offers play structures, swings, lighted pedestrian trails, sand volleyball courts, and an 18-hole disc golf course. 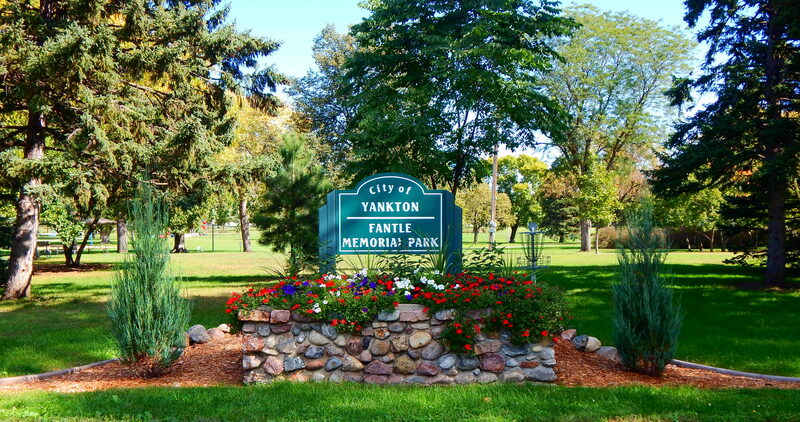 Visit www.cityofyankton. org to view and print the course scorecard. Bring your own discs, no fee required.